Silver Markings – Silver has been mined from the earth for thousands of years. Old World silver and silver markings have been traced back to modern day Turkey, as early as 4000 BC. But it wasn’t until around 2500 BC that we have solid accounts of the first sophisticated mining and refinement process of the precious metal known as “cupellation.” Since that time, civilizations have risen and fallen, each leaving their own characteristic imprint on silver before it became a valued currency in America. Due to the wide variability in purity, integrity and origin silver markings were developed to distinguish and verify each piece. – Assay; this mark proves the piece was inspected and verified. It may also contain an additional standard symbol to denote purity. Silver is a soft metal and even sterling has a small percentage of another metal to give it strength. Silver markings not only help collectors to identify key characteristics of the piece for valuation, they divulge a rich history, and to a collector, that is of great worth. 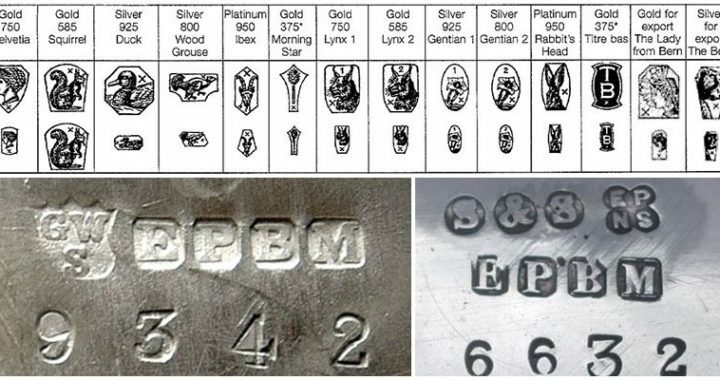 Identifying the markings on a piece of silver is quite the task as there are hundreds of different symbols. Each civilization has created their own stamp and that stamp has evolved as different authorities have altered the design for various purposes such as taxes or even pride. Tracing them can be difficult for many reasons. Sometimes the pieces are well worn and the stamp has become hard to distinguish to an untrained eye. 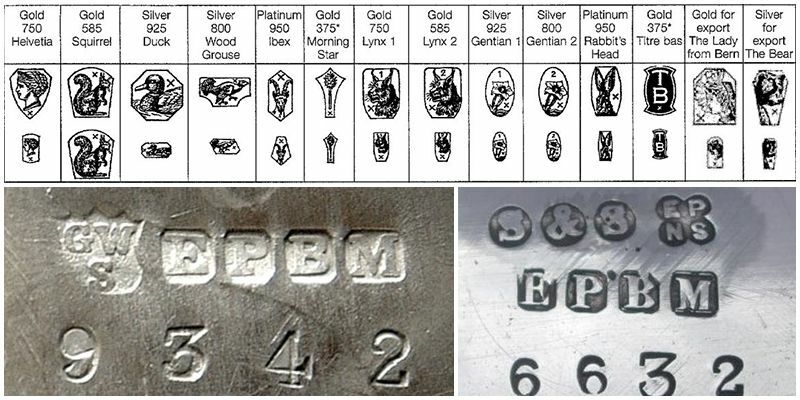 There are often minute details separating an assay’s mark, such as a small number or letter that helps to determine the value based on purity. Even if the markings can be clearly established, some of the registration records have been destroyed, making complete identification almost impossible to achieve in some cases. No matter what type of piece; coin, flatware, tea sets or candelabra, there will be markings on it. If there are no markings, the piece is not valuable and could be fraudulent. Each nation still has an abundance of well-documented markings to make identification possible, even if some of the markings have faded away with time. 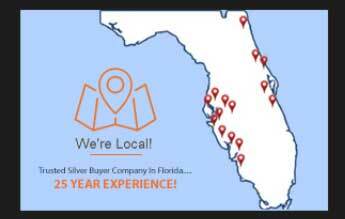 If you have a silver piece you would like to know more about, contact a knowledgeable professional who is familiar with the different eras and aspects of markings. The markings are what determine the value of your piece so it is important to have it identified correctly, whether you want to have it appraised for insurance purposes or if you are looking to sell the piece.